We have all just gone through a season of giving and making new resolutions. No doubt you made a concerted effort to give God ‘a present’ for the bountiful blessings you received last year and your ability (with his help) to ‘almost’ keep those resolutions you vowed in 2018. Well, after you have counted your blessings and named them one by one, please take a pencil and paper and specifically write down the ‘gifts’ you gave to God for all of his input in the mix. I can guarantee you, you did not out give him. Nor was whatever gift(s) you gave him as surprising and original as his gift to you. Let me share with you the gift God gave me. It was awesome. And I did not realize my gift until I started to write this blog post for you this week. Why have I frozen. Speak, Lord. Just after I had finished typing the last word in the scripture above, I sat staring at the computer. I said to myself, why have I frozen. Speak Lord, thy servant is listening. Immediately, I began to recall last week’s blog about the number 5 and its numerology meaning. The number 5 represents God’s divine grace, mercy, goodness and favor toward humans. And guess what! Those two scriptures that the Lord had put into my psychic were a biblical numerology of the number 5!! Now, in biblical numerology, single numbers can be a conglomerate of several numbers. For example, 4 + 1 + 9 = 14, and 1 + 4 = 5. God’s Grace! Look again at Philippians 4:19. It actually equals the biblical numerology number 5. The next example is, 6 + 8 = 14, and again 1 + 4 = 5. God’s Grace! Look again at Micah 6:8. It, too, actually equals the biblical numerology number 5. If you search your own biblical knowledge, I am sure you can come up with a number of scriptures that add up to the numerology number 5 and that depict God’s grace towards humans. And don’t forget our extremities: 5 fingers per hand, 5 toes per foot, 5 senses, etc. The biological creation of man was no accident either, folks. What a blessed Christmas and New Year’s Gift I received from my Lord and Savior, Jesus Christ. He constantly shows me just how much He loves me through His word. I love to have conversations with Him using scripture, and like Enoch, walk with Him in the cool of the day. God’s final surprise for me was when he reminded me of John 3:16. He said, My child, I leave you with a two-fold double whammy. 3 + 1 + 6 = 10 and 1 + 0 = 1 (God). When I allowed my Only Begotten Son to come to earth for 32 years, 3 + 2 = 5, to deliver you from death, hell and the grave, those two fetes alone represented my Grace and Mercy BIG TIME!!!!! Oh yah and Amen!! You Rock, God!!! Oh, how inspirational to hear those unabridged words proclaimed by persons who love the Lord. But, do they, really love the Lord? Do they not only talk the talk, but also walk the walk? Will God respond back to them in the same vernacular? What I want to know is this…Is everybody on the same page? Well, there is a very interesting story in the Bible where ten people who were all headed in the same direction, with the same goal in mind, thought they were going to meet up with their BFF, but only five were successful in doing so. Question: What in the world were the five foolish virgins thinking? I asked God that question in my prayer time. You see, I love to converse with Him on His own terms. He often doesn’t answer me right away, but He is always on time. In this incident, I was actually researching more information on the mysteries of the design of the one dollar bill…that part about the cluster of the 13 five-pointed star arrangement just above the head of the eagle, when ‘Google’ took me to the story of the ten virgins in Scripture. HALLELUJAH!!! LET’S TAKE A FEW MINUTES TO EXPLORE THE MESSAGE AND EXPLANATION GOD COMMUNICATED TO ME CONCERNING HIS OFFERING OF A PERFECT MARRIAGE AND HIS PREPARATION FOR A PROSPEROUS AND BRAVE NEW WORLD. In the first picture above we see that the two best friends declare that they both love God and consider Him to be their best friend forever. In the Scripture above, we also see that both the five wise and the five foolish virgins are approaching their Bridegroom (BFF) carrying their lamps (based on the Commandments) and expecting their lights (which represents the Law of the Torah) to be acceptable to Him. Now, the Scriptures also tell us that five of the virgins were foolish. This means that even though they had lamps (knew the Commandments) they were not exercising the law (Torah). Or said in another way, living out the Law; or better yet, on the same page as Jesus. Now let’s regress to the 13 five pointed stars on the dollar bill. Notice that the stars are surrounded by brilliance. Question: Does your star shine brightly into God’s universe? Does your life style represent God’s grace, a good healthy and sober life and a marriage-like commitment to God’s Word? (*) Note: You realized that God alone is the Master Storyteller. Who doesn’t love money? Who, in their life time, will not handle or spend money? Who hasn’t talked about, invested, lost, earned, saved, deposited, exchanged, buried or stole money? Need I say…Nobody or Everybody!! Well, who would have thought that God would use the design of the American dollar bill to make it possible to proclaim the Good News of Jesus Christ. God did this by first using the intellect of the founding fathers of this nation to commission the design for the Great Seal of America. 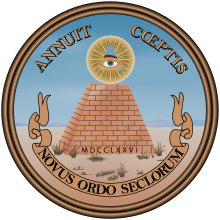 As you may know, the Great Seal has infused within its design many magical symbols. Some historians and others believe that the reasoning for this was because several members of the founding fathers were Freemasons (or of similar persuasions) and subscribed to this school of thought. But I believe that because the Great Seal of America was used as a pattern to design the dollar bill some centuries later, the tradition of using magical symbols to depict the destiny of America was incorporated. And that’s where God stepped in. First, let’s examine the official symbol for the dollar. As you converse with others about the Good News, your reference comes from Numbers, chapter 21 in the Bible. The Israelites who began to speak against God were severely punished. God sent fiery serpents to bit them. Then God instructed Moses to make a fiery serpent image and place it on a pole. Anyone who looked upon the pole would be cured. Later, the design reference for the official symbol for the dollar, included the fact that our Lord and Savior, Jesus Christ, was placed on a pole and all those who looked upon Him would receive eternal life. 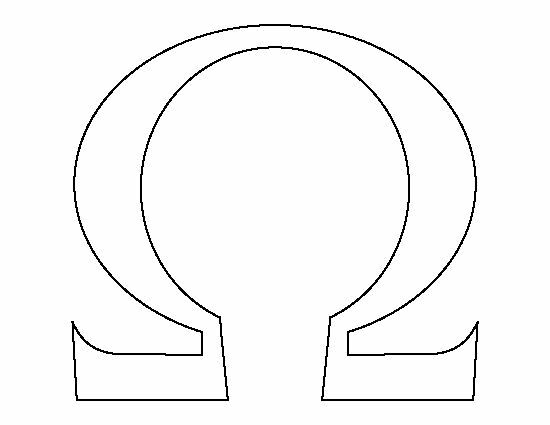 Next, notice the Greek alphabet letter above which means “Omega”…in Christianity it means the end of things. God is the beginning and ending (Alpha and Omega) of things. God alone holds the past, present and future for the American nation…NOT George Washington. Please note that it is Ole George’s portrait that is placed within the image of the Omega alphabet sign on the face of the dollar bill. 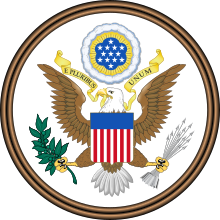 On the reverse side of the dollar bill there are 7 words written beneath the two roundels (circles): “The Great Seal…Of The United States.” Also, the English word ‘One’ appears 6 times and 1 time in Latin (unum, on the eagle’s upper wing) for a total of 7. And as you know, the number seven is held extremely sacred in the Christian religion. Seven denotes the completion and triumph of Spirit (3) over matter (4). By now, I hope you are experiencing the joy and excitement one can receive when holding a dollar bill and explaining it’s origin and design to a wayward traveler, family member of friend. For me, I just want to shout the written words, “In God We Trust”, after I carryout this godly assignment of conversing with Him and others. The last bit of information I want to leave with you is for you to take a look at the unfinished pyramid. Examine it closely with a magnifying glass. Not only is it unfinished, but there is famine vegetation growth in front and plenteousness vegetation at the rear. This represents the present state of the world now. And feast and famine will continue to reign until the return of Christ Jesus…the ‘all seeing’ Eye within the tip of the pyramid. There are many more signs and symbols depicted on the face of the American dollar bill, but those explanations will have to wait until another blog post. Research and explore the dollar bill for yourself…you just might learn something and be blessed as you have your own conversations with God using Scripture. Plant seeds by using innovative ways to spread the Good News! Did you know that as you walk and talk with God on a daily basis, it will distinguish you from all others? I found that out a long time ago. I also found out that without applying faith to the still small inner Voice that occupied my consciousness, I was treading on sinking sand. The word ‘bread’ in scripture is a reference not only to God’s nourishing provisions of food, but also for God’s providential expression of Truth…God’s Word given to us through the life of Jesus Christ. As I said earlier, as we walk and talk with God on a daily basis, that is, feast on his daily bread, it will distinguish us from all others in God’s eyes. I am now standing on solid ground. Amen! So You Think You’re A Crackpot!…Good! Did you know that during the past 4,000 years of civilized history, the Chinese have generated numerous proverbs for almost any situation in life. And one of these proverbs have brought me to my blog post for this week. Just the other day, while searching my computer files, I ran across an old ‘saved’ file of prose and poetry. In it I discovered a Chinese proverb about two cracked clay pots that I thought you might like to hear. Why? Because subliminally, the conversation message therein had ‘God’ written all over it! Honestly, I do not know whether its author, Confucius or another ancient sage mystic was inspired by the Holy Spirit when he was meditating and eventually wrote down his proverbial thoughts, but the message in his wisdom of intent is certainly straight from the mind and wisdom of God. So, included below is some good old Chinese wisdom. Take a look for yourself and you be the judge to weather or not you see the hand of God. An elderly Chinese woman had two large pots, which she carried across her neck. For two years this went on daily, with the woman bringing home only one and a half pots of water. The old woman smiled, “Did you notice that there are flowers on your side of the path but not on the other pot’s side? Each of us has their own unique flaw…But it’s the cracks and flaws we each have that make our lives together so very interesting and rewarding. You’ve just got to take each person for what they are and look for the good in them. So, to all of my ‘crackpot’ friends, have a great day and remember to smell the flowers on your side of the path. Sometimes, God allows me to do my own thing when I want to remember or get a better understanding of a particular story in the Bible. I often look for key words or draw the storyline on paper; like when God is building a wall that specifically describes each right and left turn or the particular distance a character travels and which side of the city he/she decides to settle in. I’ve learned that by doing this it helps me know in advance whether the construction or trip will bring feast or famine for the laborers or travelers. So, since the Book of Ruth only consisted of four chapters, I decided to set it to rhyme. Naomi was an Israelite pilgrim, depicted in the Book of Ruth. She shared the biblical storyline with a Moabites who came to know Truth. Naomi, her husband, Elimelek, along with two sickly sons, left their home in Bethlehem-Judah in search of a distant, far away region. What necessitated this journey? Why did a famine engulf their land? Was God punishing His people? An unruly, stubborn and immoral clan. Eventually, all arrived safely in Moab, a land situated east of the Dead Sea. But not long afterwards Elimelek died and what was once four became three. Now, as the story goes, in due season, sons Mahlon and Chilion married. One wife was Orpha, the other Ruth. Still ten years later both women were barren. Death came calling claiming both boys, just as it had claimed their father. Alone, Naomi sat to grieve and fret, her comfort: just two Moabite daughters. 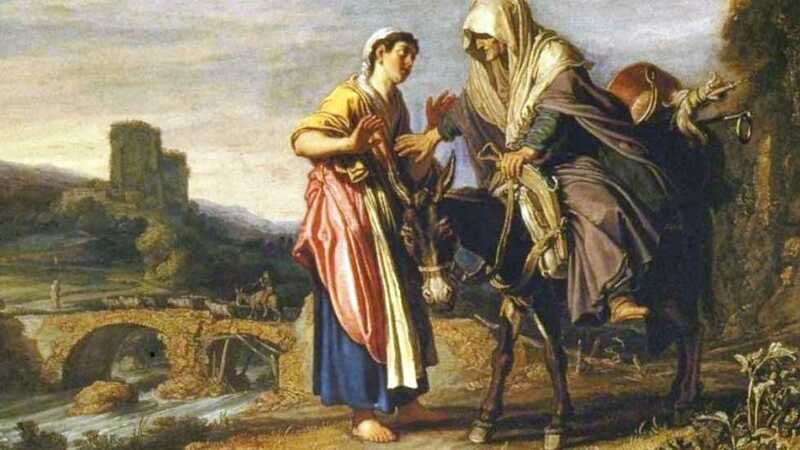 By and by Naomi regained her strength and decided to return to Bethlehem. 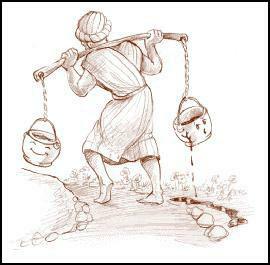 The Lord had lifted the famine, and both daughters desired to go with her to give her a hand. Naomi insisted that they not follow, but return to live with their own kin. She thanked them for their loyalty and prayed new husbands they’d win. The two ladies arrived at Bethlehem to warm greetings from far and near. ‘Mara’ was the name Naomi chose to reintroduce herself to her peers. God had dealt very bitterly by taking her husband and two sons. She had to bury them down in Moab, she couldn’t bring them home to Judah. Just like your Creator…Experiment in learning God’s Word…Be Blessed!